Genesis: Paradise Lost (formerly known as Genesis 3D) is a visually stunning film that animates the first chapter of Genesis, as God creates the world from nothing. 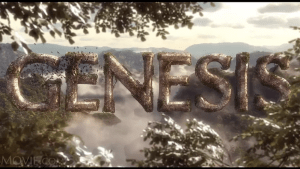 Narrated by my friend Voddie Baucham, Genesis comes to life before your eyes as plants spring forth from the earth, planets are formed, the earth responds to God’s command to bring forth the animals—including what we today call dinosaurs (there are lots of dinosaurs in this film! ), and Adam and Eve explore the beautiful world God created.